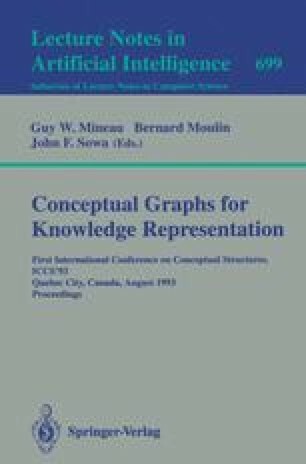 This paper studies canonical graphs, which are conceptual graphs derivable from a canonical basis. We provide several characterizations of canonical graphs and prove that the correspondence between notions of a projection and a derivation sequence (specialization) holds true for canonical graphs. We propose an algorithm for deciding whether a conceptual graph is canonical relative to a given canonical basis. The complexity of this algorithm is polynomially related to the complexity of computing a projection between two conceptual graphs. When the canonical basis is a set of trees, it is polynomial.